25 Individually wrapped foil parcels of pure dinner deliciousness. That’s what we have here. These easy prep, zero clean up dinners are seriously brilliant! 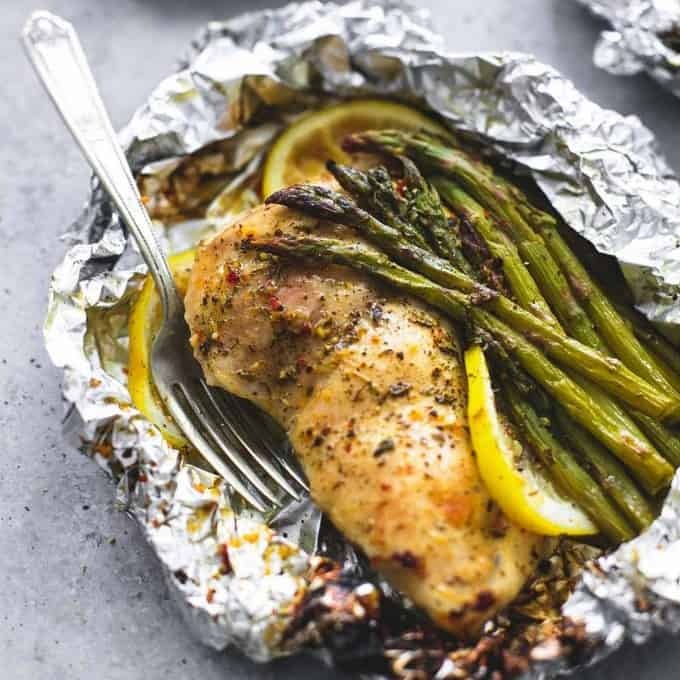 Whether you’re going camping, cooking for a large crowd or meal prepping for the family, individually wrapped foil dinner parcels are a game changer. 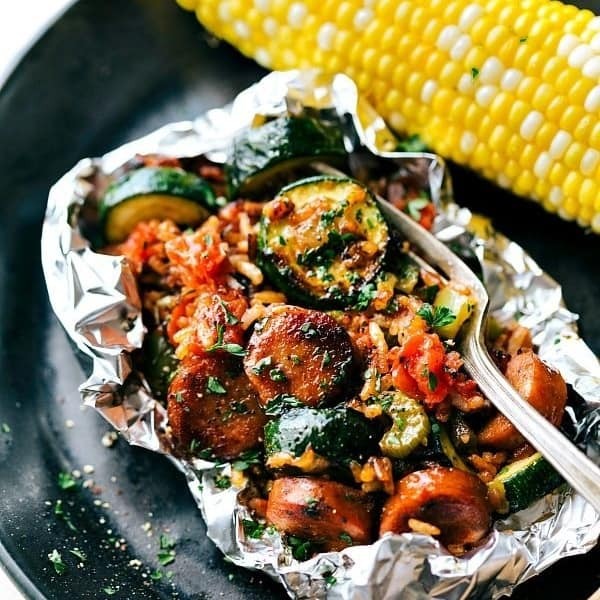 Once you try these Foil Packs, you will be obsessing over what else you can wrap up and cook on your grill. You are only limited by your imagination. Honestly, I was really surprised by how well these turned out. We cooked our regular Sunday Roast in foil packs by wrapping up servings of chicken, potatoes and vegetables all in one pack – then grilling. OMG! The chicken was tender and a little chargrilled even though it was double wrapped in tinfoil. This is what aluminium foil is made for! You can customize each foil parcel to suit kids of different ages. This is super handy of you have family members with a food intolerance or picky eaters. 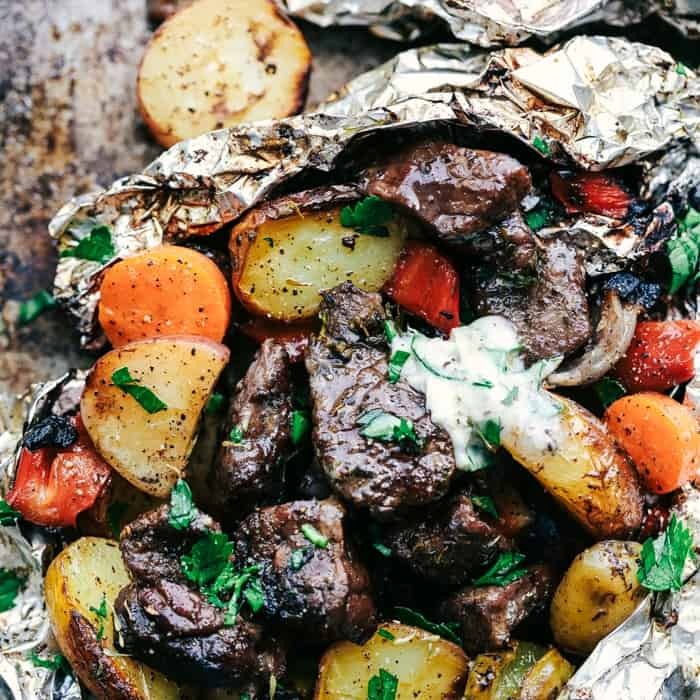 You can prep foil parcels ahead and store them in the freezer or fridge for when you’re ready to cook. 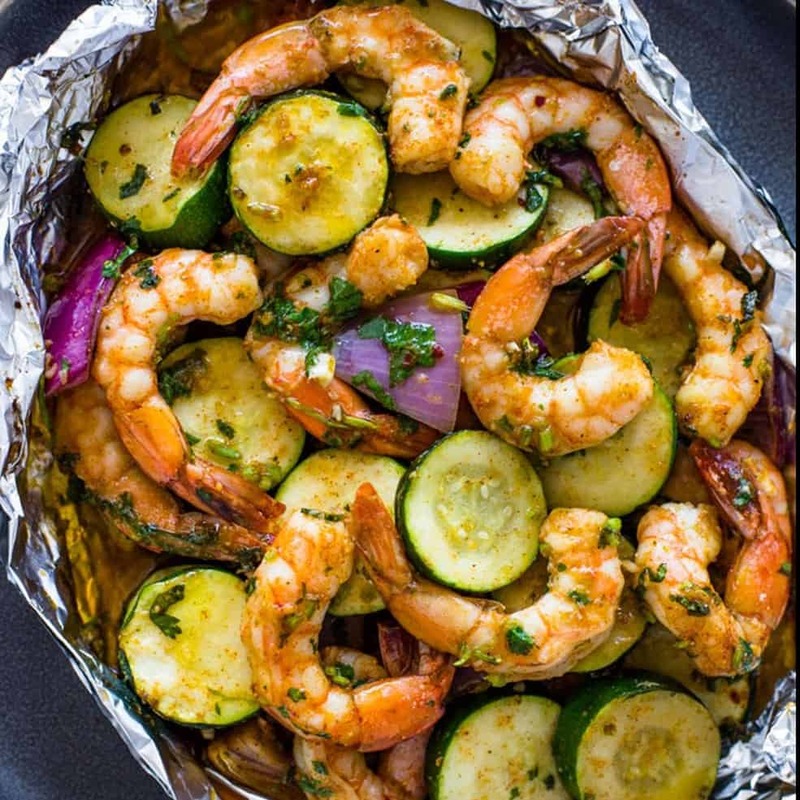 Foil Meals can be cooked in the oven, on the grill or over a fire. No expensive meal prepping containers needed. Simply wrap in a good grade foil and that’s it. The flavor. Your entire meal is cooked within it’s own foil parcel so all flavors are sealed inside. Take the fuss out of campfire cooking. Foil packets can be be prepped at home and frozen before the trip. They are easy to grill over the campfire for a no fuss – no mess camp dinner. Quick Tip: Be sure to use a heavy duty aluminum foil to prevent tearing and it keeps the tasty juices from running out of the packet. I always double up on foil just to be sure. You can wrap up a family sized serve or individual portions, Either way – it makes Camping Dinners SO MUCH EASIER! We have cooked these in our oven, on our little Webber gas barbecue and on our charcoal cooker and they all worked perfectly. If you haven’t tried Cauliflower rice yet, then this is the recipe to give it a go. 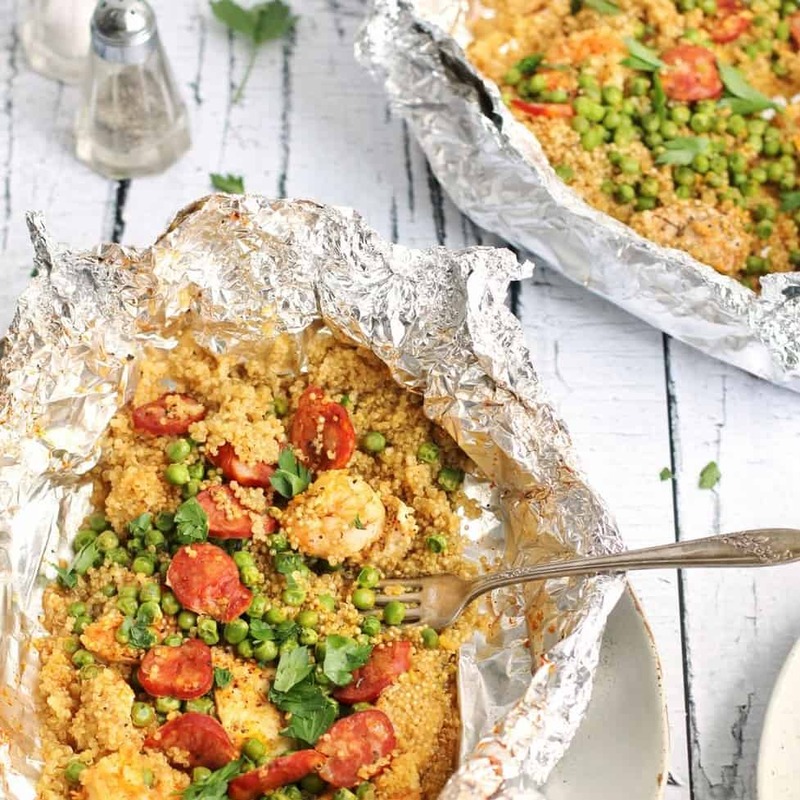 Everything cooks together in the foil and the Cauliflower doesn’t even taste like Cauliflower (awesome if you have fussy kids:). We tried this recipe with mixed frozen seafood and it was really good. Nice change with the Quinoa instead of rice too. 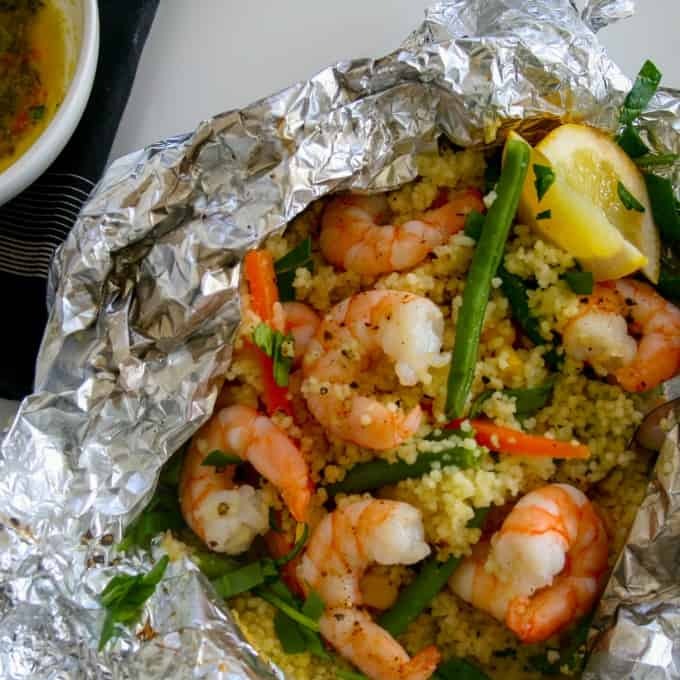 These quick 15-minute garlic shrimp foil packs are packed full of flavor. Make this a healthy meal by adding your favorite vegetables! We absolutely loved these foil packets! Easily one of our favorites. I love how the grill gives the slightly charred edges. These were full of flavor and I loved the combination of the herbs. 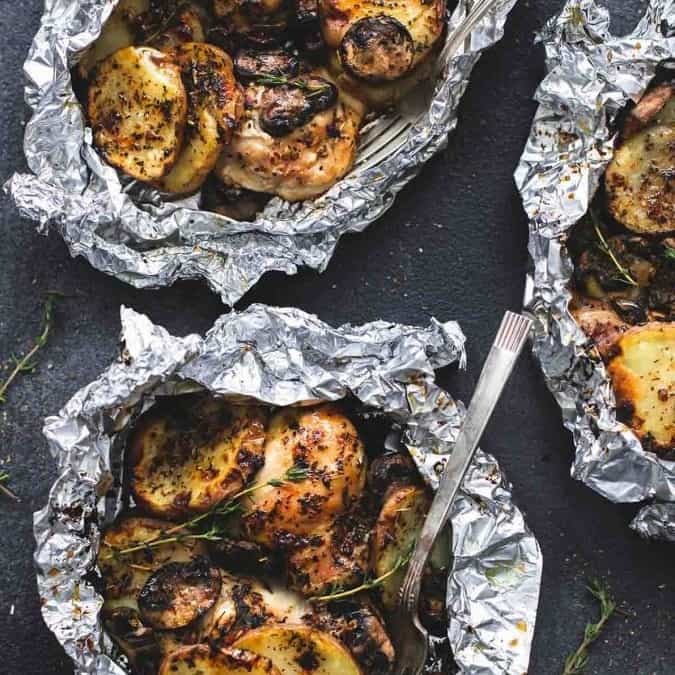 Forget the big Sunday Roast, rather opt for these Chicken and Potato Foils on the grill. Everyone gets their own little roast Parcel. My kids loved this!!! We tried this recipe with steak and chicken and it was amazing! 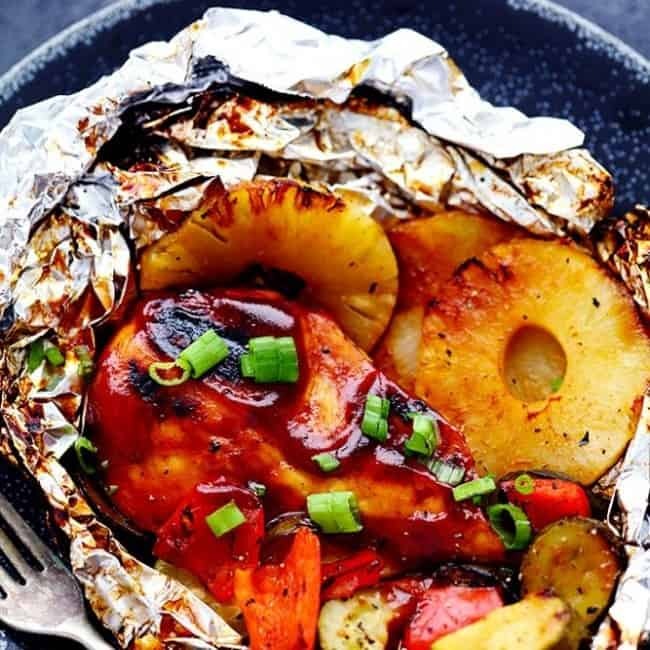 The tangy pineapple barbecue sauce gives the chicken an amazing sweet and tangy flavor! It grills to perfection and can be served with any Summer veggies! 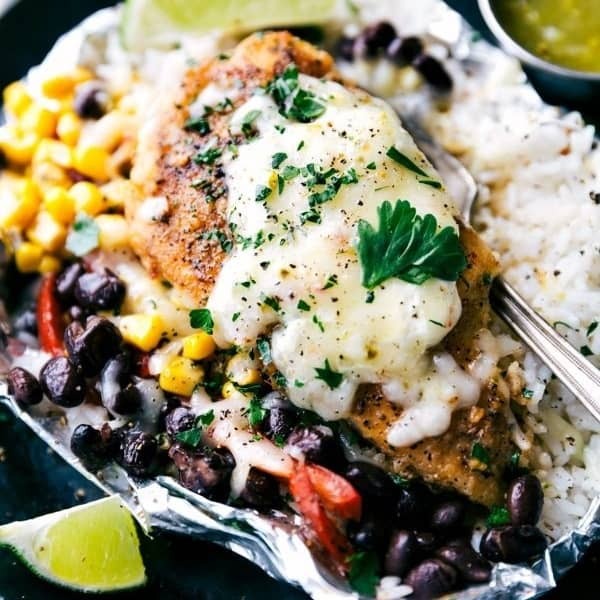 Creamy salsa verde chicken with rice and veggies all cooked at once in a foil packet! No need to pre-cook the rice or chicken. 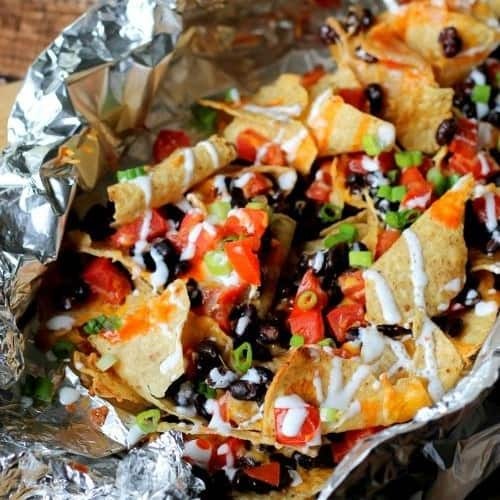 This Loaded Nachos on the Grill Recipe is a perfect go-to recipe to share with friends or family at a Summer Barbecue! 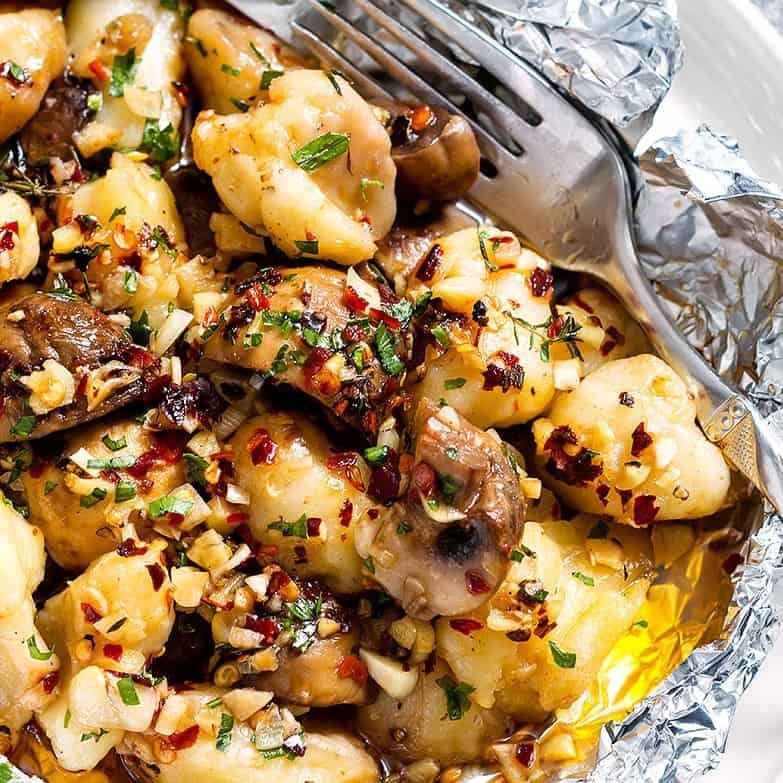 Gnocchi and mushrooms are topped with a fragrant garlic butter sauce then quickly finished off in the oven or on the grill. This healthy and really yum meal is perfect for a big crowd. Prep before hand and finish off cooking on the grill for individually wrapped parcels that will Wow your guests. 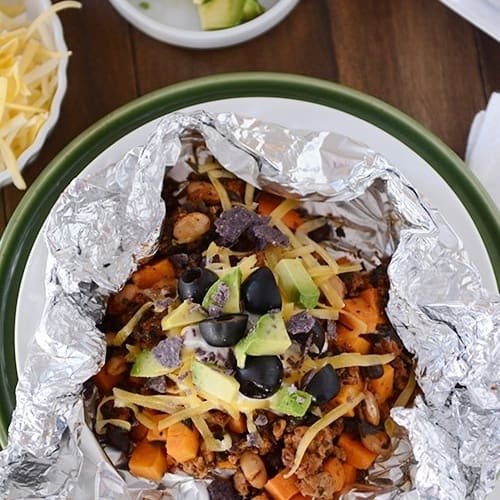 Thanks to the tightly crimped foil package, the delicious sweet potatoes and flavorful taco filling bake in total harmony since the little envelope captures all the steam and creates the perfect atmosphere for the flavors to blend and cook together. 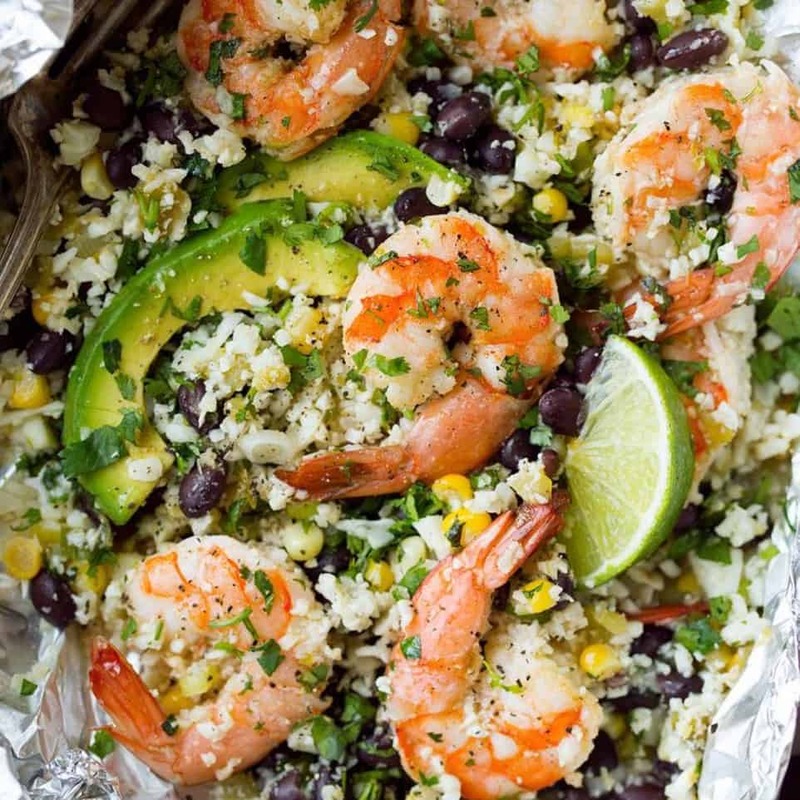 This delicious dinner is great for a crowd and turns into a big, beautiful package of yum. 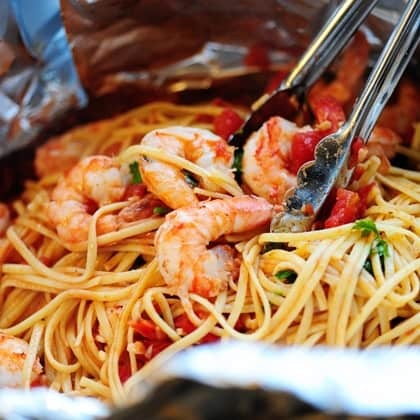 The seafood cooks in the foil, which means all the juices and aroma stay in there…it’s so utterly delightful. 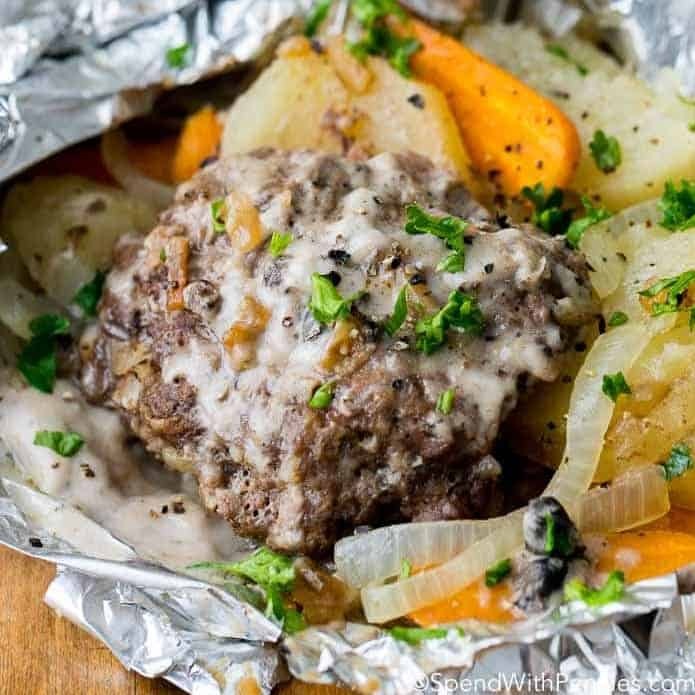 Hobo Dinner Foil Packets are so simple to make and everyone raves about them! Comforting veggies including potatoes, carrots and onions are topped with a seasoned hamburger patty and grilled or baked to tender perfection.